Commercial buildings often use carpet for a number of reasons. Carpet adds a variety of colors and patterns, provides a soft surface for comfort, noise reduction, and improves efficiency. However, as carpet has a number of benefits they do require care. One of the major battles when it comes to carpet care is stains and color discoloration. Carpets lose their color in a number of different ways and for a number of different reasons. Carpet Dye-Tech will share the types and causes of carpet discoloration that commonly occur in commercial buildings and how they can be repaired. What Causes My Carpet to Turn Pink, Orange, Rust or Other Colors? Bleach Spots: Bleach spots occur in also every commercial facility. Bleach can be found in a number of cleaning solvents, as well as in hygiene products, and even in some food and drinks. So bleach stains are not new or impossible to remove. Carpets are not considered lost even when they get bleach spots. 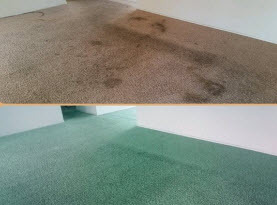 Commercial buildings can have their carpets recovered from bleach spots by having the carpets dyed. Bleach spot dye repair can help recolor the bleached spots. Carpet Browning: Another common carpet discoloration problem that occurs in many commercial buildings is browning. Browning is common since many types of carpet use cellulosic fibers. Cellulosic fibers often turn brown over time. When browning occurs the carpet needs to be cleaned with an acetic acid based cleaner. However, when the browning can’t be removed, carpet can be cleaned and colored using carpet cleaning and dyeing services. Gray Spots on Carpet: In high traffic areas such as halls, entryways, or lobbies it is very common for carpet to develop gray wear patterns. Graying is very common and can be reduced by having the carpet frequently cleaned and vacuumed. However, there will come a time when the gray discoloration will not go away. When graying becomes severe you can have the carpet dyed to restore the carpet appearance. To help reduce graying in the future you can have the carpet dyed a darker color which can reduce the affects of high traffic areas. Carpet Fading: Commercial buildings often use a lot of windows to bring in natural light and reduce the need to use artificial light during the day. However, sunlight can cause the carpet to fade and lighten. Fading makes carpet look used and old. Faded carpets are also very common and easily repaired. Using color restoration dyeing services, a professional carpet cleaning and dyeing technician can come and recolor the faded carpets. 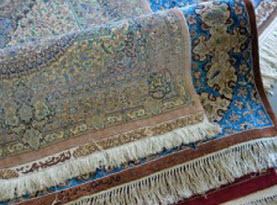 Carpets will often fade before they wear out. We can help save you the cost by coloring carpet versus replacing faded carpets. 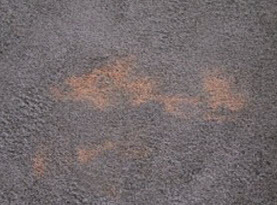 Yellow Carpet Stains: Yellowing occurs when there is no natural sunlight. Yes, carpets can develop a yellowish tint when carpets are enclosed and not in natural sunlight! Yellowing occurs when BHT is present. 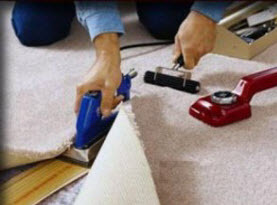 It can be found in the carpet under padding or in the adhesive used to hold the carpet pile together. Yellowing can make carpets look dirty and ruin the look of the carpet. Additionally, the BHT can make carpet feel sticky. To recover the carpet color, the carpet can be cleaned and dyed. Carpet dyeing services can help recover carpet and give it a fresh, new appearance while saving money. When carpet is still in good condition and needs its color recovered, contact a carpet dyeing service. For professional carpet cleaning and dyeing services, contact Carpet Dye-Tech and schedule our services today.